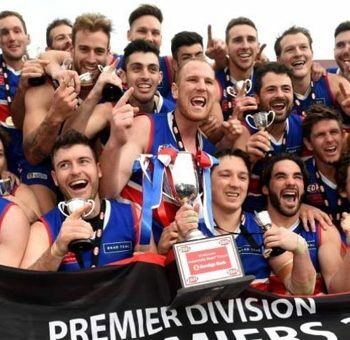 After a hard fought display by the Senior team last weekend against their more fancied rivals, Shepparton, the Eagles senior team bowed out of the finals race. 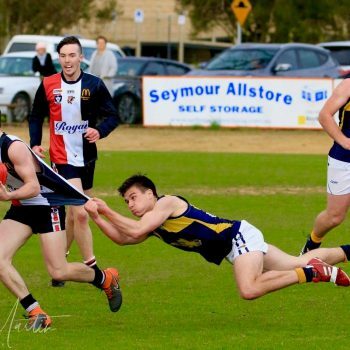 In what was a tight encounter with both teams unable to get a significant advantage at half time, the stronger Shepparton side kicked away in the last quarter to win by 40 points. Only 1 point separated the teams at quarter time and 11 points at half time. The third quarter saw Shepparton kick 4.4 goals to Mansfield’s 2.1 goals. This meant a big last quarter was needed to overcome the 24 point deficit at 3/4 time but still the Eagles were a chance. Unfortunately, the deficit was too great to bridge, ending the Eagles season for 2018. “I couldn’t have been more proud of the players and coaches this season. We really took great steps forward which gives us and the supporters a real sense of excitement for season 2019. I encourage everyone to get down to Deakin Reserve, Shepparton to support our Reserve team battling against Euroa in the Preliminary final this weekend. Thank you to all our supporters who are coming along to the B&F this year, numbers have been great and there are a few spots left.” said President Dennis Sheahan.